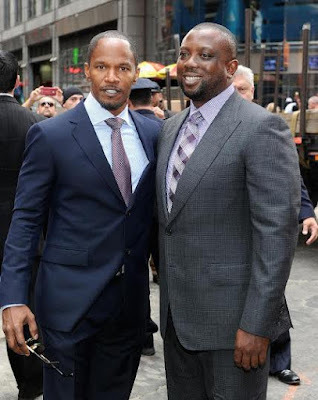 Controversial Nigerian oil tycoon, Kola Aluko (right) has sold his Bel-Air, Los Angeles mansion, as Nigerian and European authorities investigate him for alleged series of money-laundering and fraud-related crimes, Forbes reports, quoting The Los Angeles Times. The 46-year-old sold the home last week for $21.5 million, taking a $3 million loss after purchasing the sprawling residence in 2012 for $24.5 million. Aluko apparently sold the mansion in an off-market transaction using a limited-liability company. Aluko’s former home – a contemporary-style showplace in the 700 block of Sabonne Road, Los Angeles, was designed by architect Paul McClean and built in 2011. The property sits on more than an acre, has a gated entrance, a subterranean garage and a 132-square-foot infinity-edge swimming pool among other features. For a long time, Aluko had been linked as a business associate of Nigeria’s former Petroleum minister, Diezani Alison-Madueke, who is currently under investigation by Nigerian and British authorities for money laundering and embezzlement. Shortly after she became oil minister in 2010, Alisonm-Madueke awarded Atlantic Energy – an unknown start-up co-founded by Aluko, a very lucrative contract to fund NNPC’s operational costs in four lucrative oil blocks in which the NNPC owned a stake. In return for providing funding to the NNPC, Atlantic Energy was to lift the crude produced from the oil blocks, sell it, and thereafter pay the state-owned oil firm its share of profits. But there is an allegation and considerable proof that Atlantic Energy did not make any upfront funding but lifted crude and that a huge chunk of the proceeds from the sale of the crude did not make it to NNPC’s coffers and, by extention, the Nigerian treasury. An email to Kola Aluko to confirm the sale of his Bel-Air property was not responded to as at the time of this report.